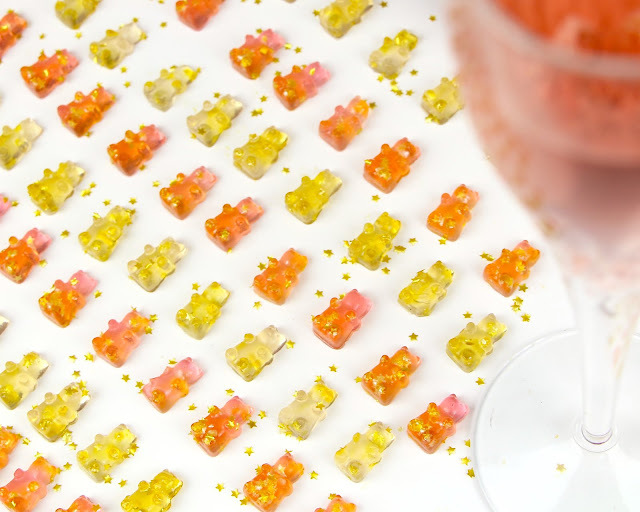 The most fun cocktail inspired candy ever. 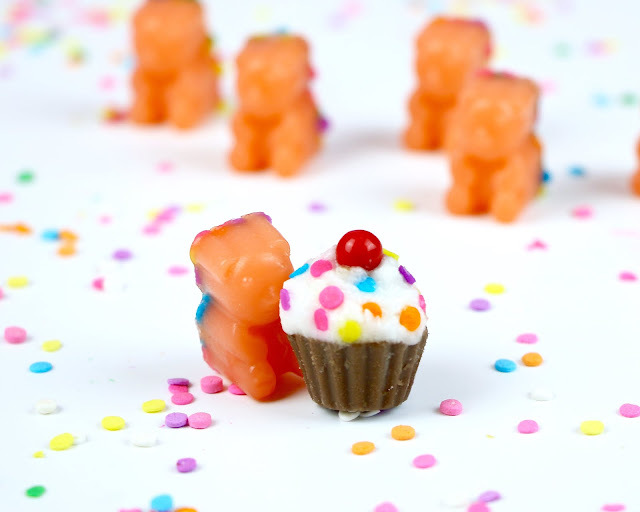 These drunken gummies are made with real cake flavored vodka, to give these cute little funfetti bears a little hint of booziness. 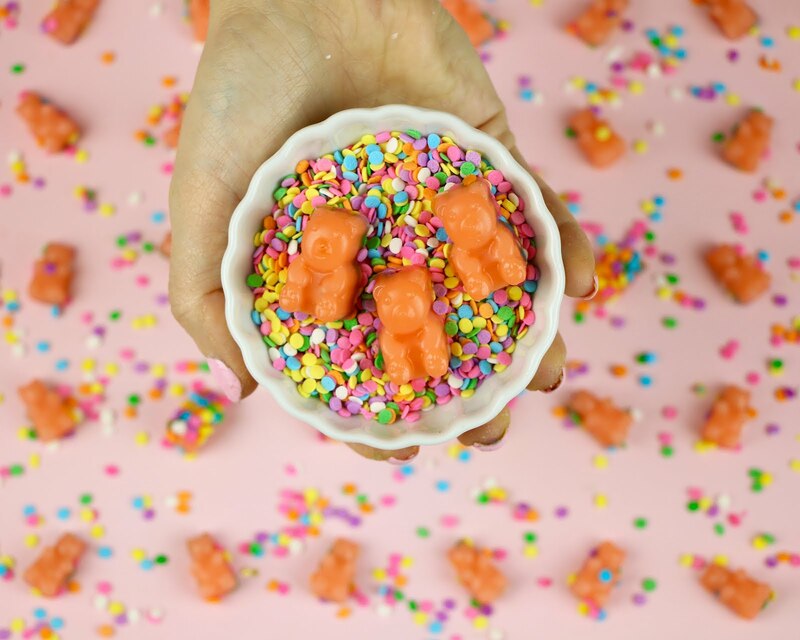 These cute little bears taste just like a birthday party, they're pink, adorable and covered in rainbow sprinkles, but don't let them fool you because they've got a sweet, boozy kick to them, from the vodka, so they're perfect to serve at a cocktail party! 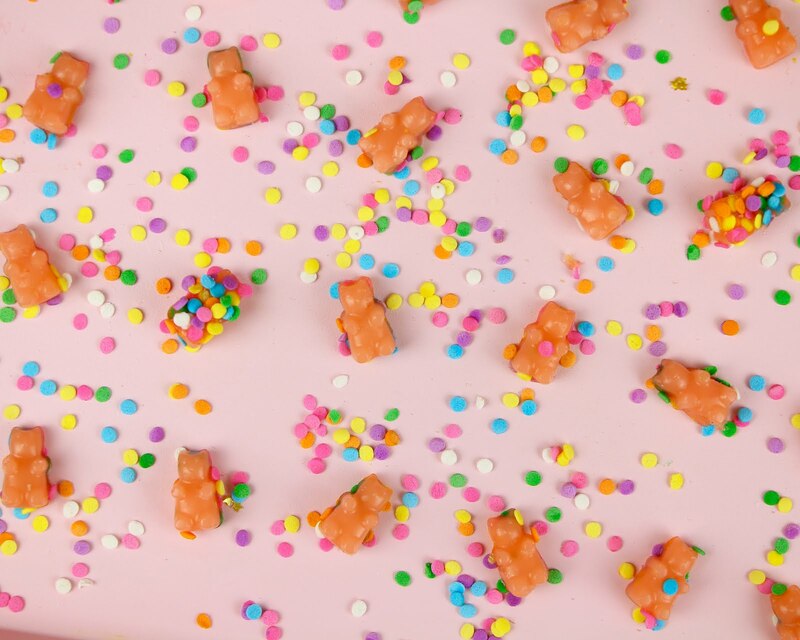 This have got to be one of the most fun spins on gummy bears I've ever seen. 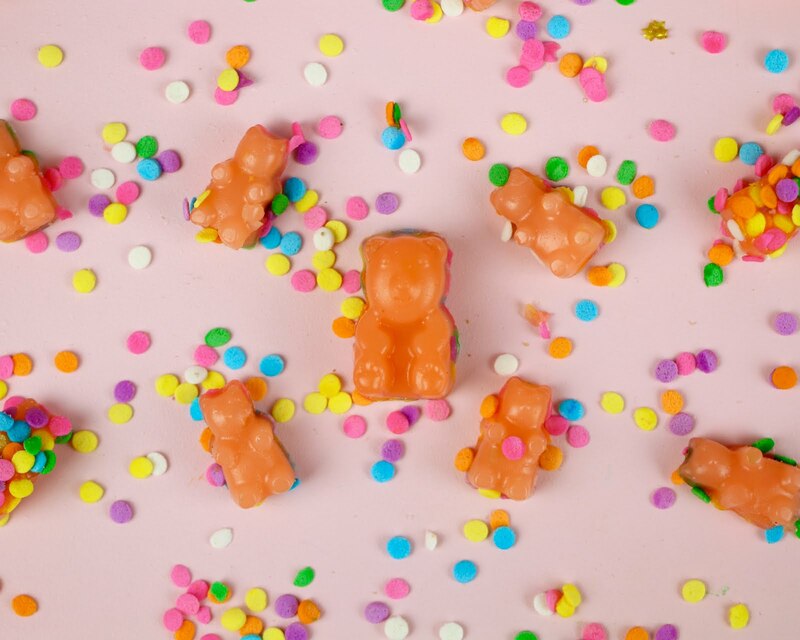 I just couldn't resist adding sprinkles and sweet cake flavored vodka to my gummy bear recipe, for the most over-the-top twist ever. 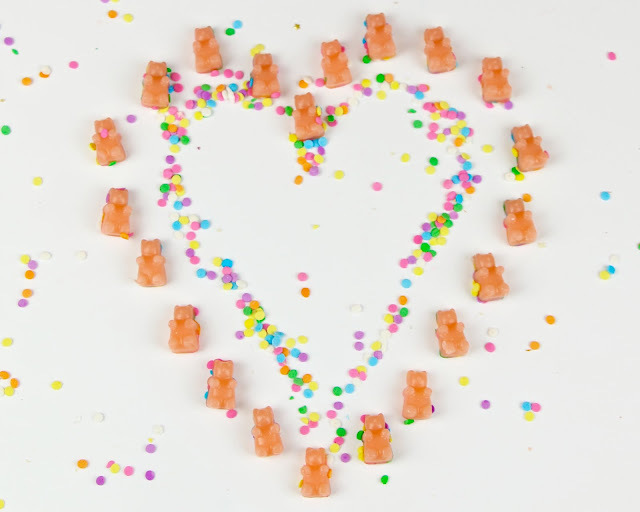 I am so happy with the way these turned out, my friends are going to flip over these. 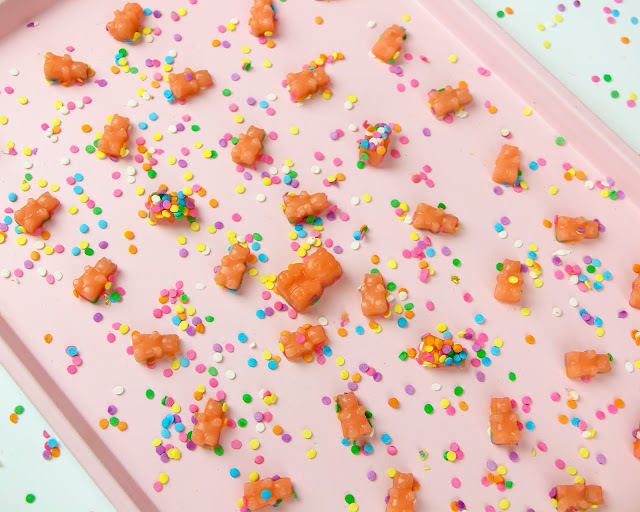 The trick to making these, so they taste sweet and boozy, is to make sure the mixture doesn't boil or heat over 90 degrees F, so low and slow on the stove top is key to getting that vodka flavor to really shine through. 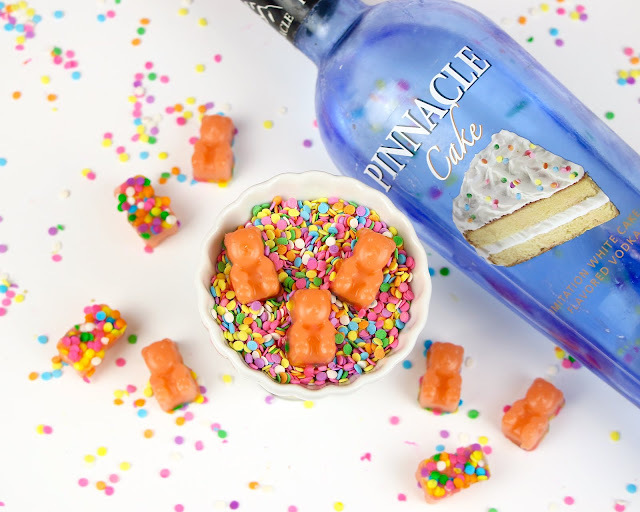 And, if you're not of legal drinking age, I'll give you a non-alcoholic version of this recipe, too! I made these in a gummy bear mold: http://amzn.to/2wKsczb, but you can also just pour the mixture into an 8x8-inch pan lined with parchment paper and use a pizza cutter to cut the gummies into small squares. 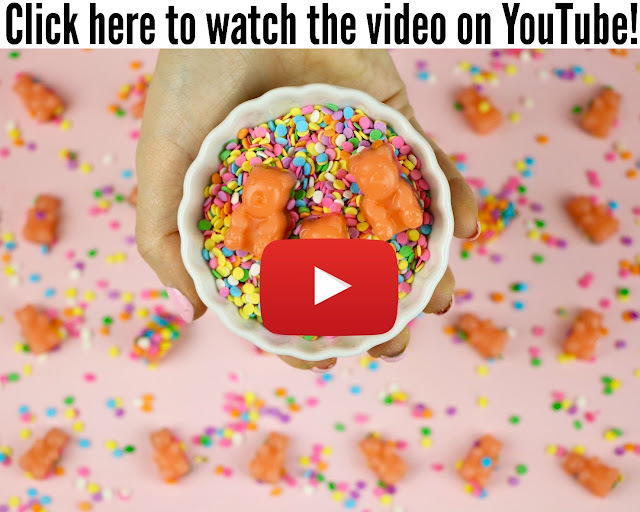 ...or my Funfetti Cupcake Cocktails, so be sure to check those videos out too! 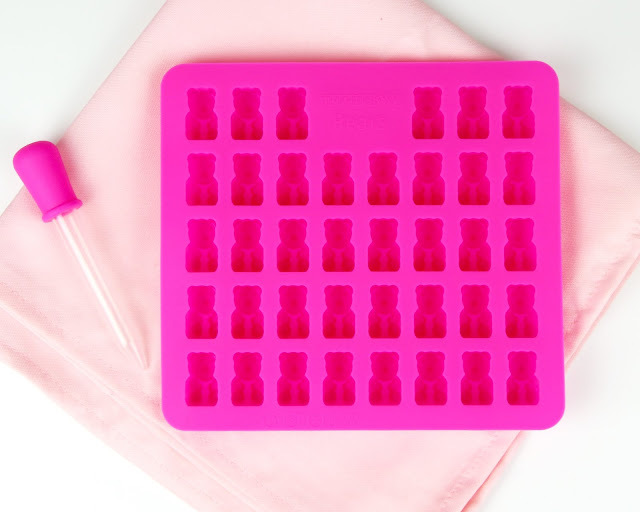 Place the gummy bear molds on a baking sheet. 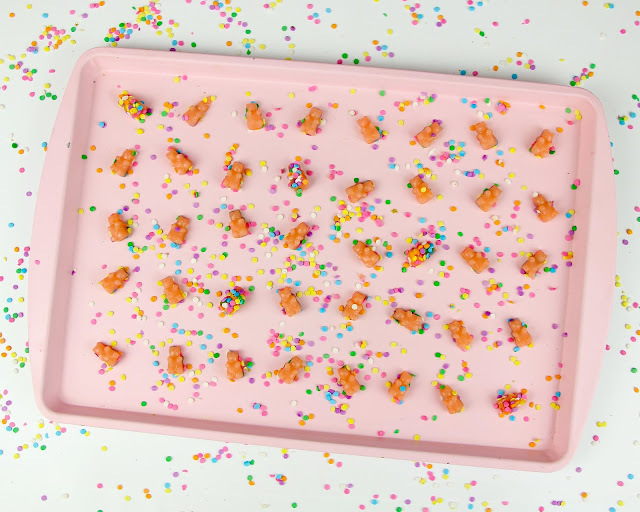 Pour milk into a medium saucepan and sprinkle gelatin over the top. Stir together and let it sit for a minute. Over low heat, stir in dry pudding, sugar, vodka, vanilla and a drop of food coloring, if desired (leave out vodka for non-alcoholic version). 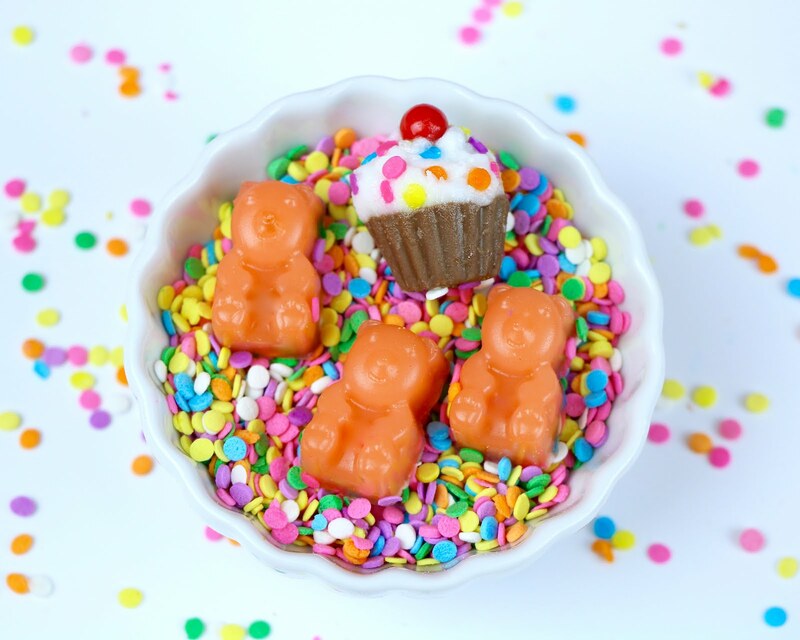 Stir mixture until gelatin, pudding and sugar are dissolved, making sure mixture does not boil! 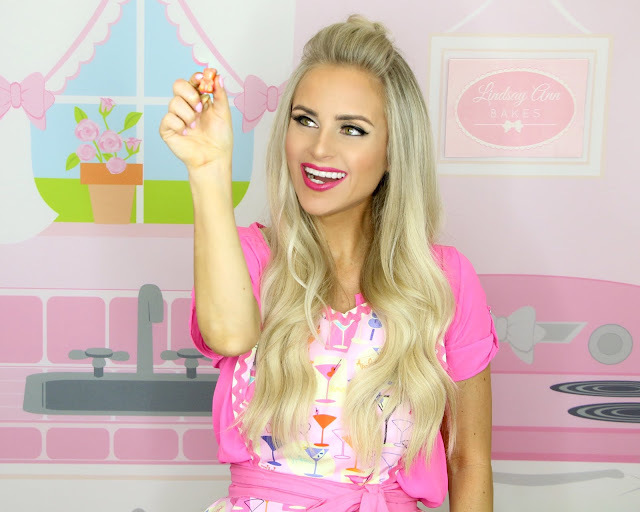 Turn off heat but leave saucepan on stove to keep gelatin warm. Place gummy bear molds into fridge until gummy bears solidify, about 1-2 hours, or freeze for about 20 minutes. 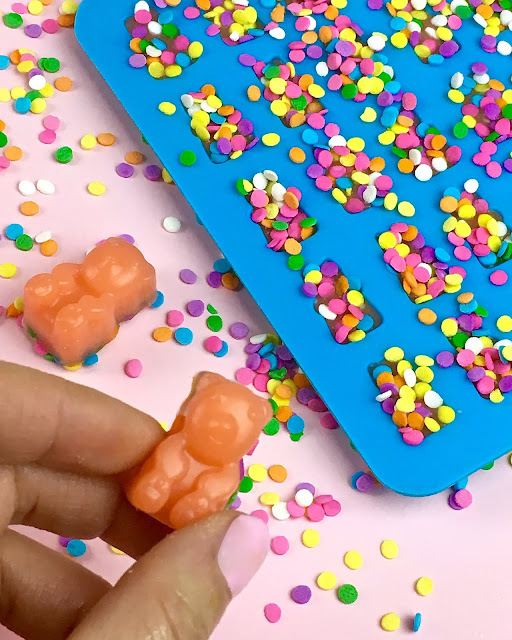 Once firm and set, pop gummies out of the mold. Allow them to come to room temperature and serve immediately, or, store in an airtight container, in the fridge for up to a week. Bring to room temp before serving, so they are soft and chewy.